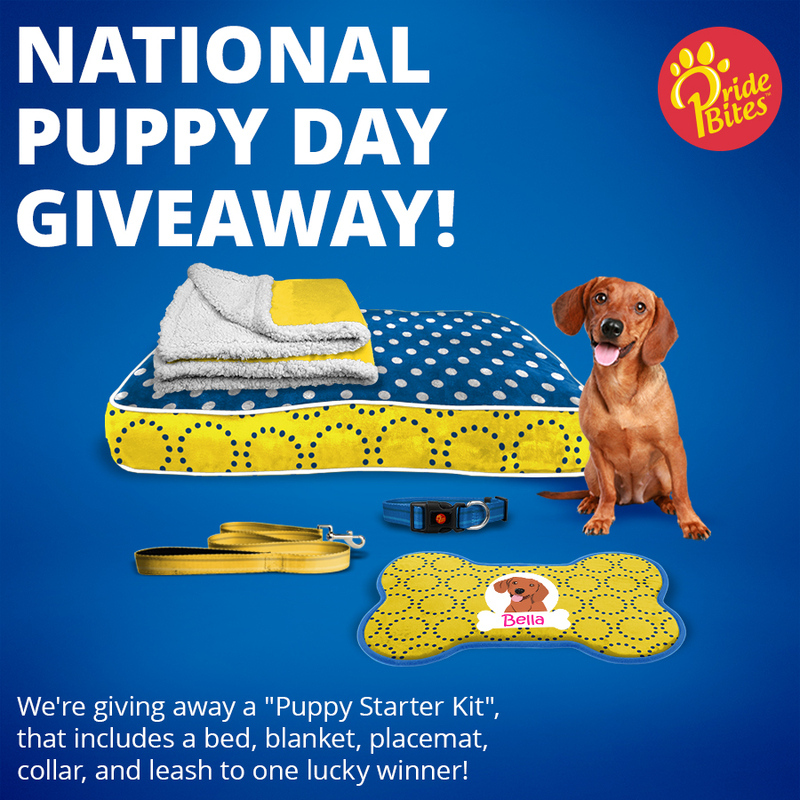 PrideBites is giving away a Puppy Starter Kit that includes a bed, blanket, placemat, collar, and leash to one lucky winner! We love PrideBites products for our pups. They are durable + customizable. Our puppies love the beds + create beds + blankets + toys. Yours will, too! PLUS, you’ll love getting 20% off your purchase at PrideBites! Enter: smilingdog as your promo/discount code at check-out to save. This entry was posted in Blog Posts, PUPdate Archive and tagged PrideBites, puppy gear, puppy products, puppy supplies. Bookmark the permalink.